Centrifugal pumps are used in many industries as a means of moving liquid from one point to another. 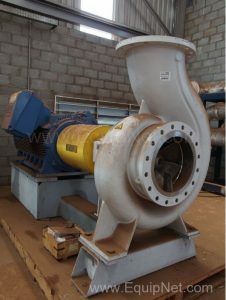 Selecting the correct centrifugal pump for use in the chemical industry depends on the pumping needs and the chemicals being processed. In order to select a pump, a basic understanding of the pump’s operation is necessary. The pump creates the flow of the liquid; it does not create pressure. Pressure is simply the resistance created by the flow. Head is the term used to indicate the amount of kinetic energy being created by the flow. This measurement is stated in meters or feet and indicates the height the fluid column would reach if not confined. The amount of kinetic energy is generally determined by the rotational speed of the shaft and the outer diameter of the impeller. Centrifugal pumps work by rotating the impeller, which then moves the liquid through the system. A vacuum is created as the liquid leaves the pump, drawing more liquid in. Standard pumps can normally handle solids up to seven percent of the solution. 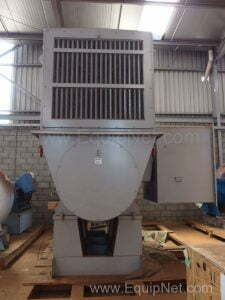 Designs are available to handle mixtures of up to 15 percent solids. Vertical pumps are also called cantilever pumps. The shaft is placed in a vertical position. A vertical pump can be smaller and allows for higher temperatures and pressures. Horizontal pumps can be directly coupled to turbine or electric motors. The horizontal design does not require as much overhead space, and this type of pump is easier to maintain and inspect. Self-priming pumps eliminate the need for liquid to be inside the pump before it can begin to operate. This style also overcomes the problem of becoming gas-bound if a large amount of air or vapor forms in the line. Variable speed centrifugal pumps use flow measurement to adjust the operating speed. When the pump operates at a lower speed, the flow may not be as smooth. Low flow protection should be used with this style pump. Multistage pumps use more than one impeller, and the impellers may be on one or more shafts. Positive displacement pumps are not the same as centrifugal pumps. This style moves a set amount of liquid through the housing during each cycle. The amount of fluid flow is not related to the discharge pressure. The critical difference with a positive displacement pump is that it will continue to operate even if the outlet is blocked or closed. In the absence of a safety valve, the pump will run until it becomes damaged or the line breaks. The BEP establishes the rate of flow for maximum operating efficiency. A series of factors are used to determine this rating, including suction speed, volute size and impeller diameter. Operating the pump from 80 to 110 percent of the BEP normally produces the optimal results. Running a centrifugal pump outside this range can lead to increased thrust or vibrational problems. Operating a pump too far below the BEP rating wastes power and may create issues with reliability. A single pump may not be sufficient for extremely high flow use. In this situation, parallel pump operation provides a solution. Parallel usage may also be called for when the flow range varies. A key factor in this type of use is that two pumps in parallel will handle less flow than the total of both pumps separately. The lowest number of pumps required should be used in any parallel pump operation. Cavitation occurs when air or vapor bubbles form in the liquid. The bubbles will then implode, and this can cause damage to the propeller or other portions of the pump. This scenario occurs when the internal pressure of the pump is lower than the liquid’s vapor pressure. Air entrainment damage occurs when the liquid already contains air bubbles before it enters the pump. Entrained air reduces the efficiency and capacity of the pump while also speeding corrosion. In extreme situations, an increase in vibration may lead to shaft breakage. When selecting a centrifugal pump for use in the chemical industry, the properties of the materials used in manufacturing are critical. The pump seal, and even the impeller, must withstand the particular chemical exposure. Examples of mechanical seals include metals, ceramics and elastomers. 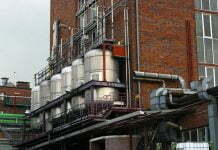 Manufacturers should provide the required information regarding the compatibility of the components to the type of chemicals the facility is using. 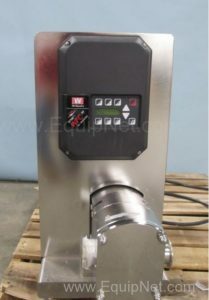 EquipNet carries a range of pumps that source a number of industries’ needs and applications, including Centrifugal Pumps, Diaphragm Pumps, Infusion Pumps, Peristaltic Pumps, Vacuum Pumps and much more. Click here to browse our full inventory of equipment on our MarketPlace. Contact your local sales representative here. Send us your feedback. We want to hear about your experience on EquipNet.com. Copyright© 1999 - 2017 EquipNet, Inc.
EquipNet is a service mark of EquipNet, Inc.